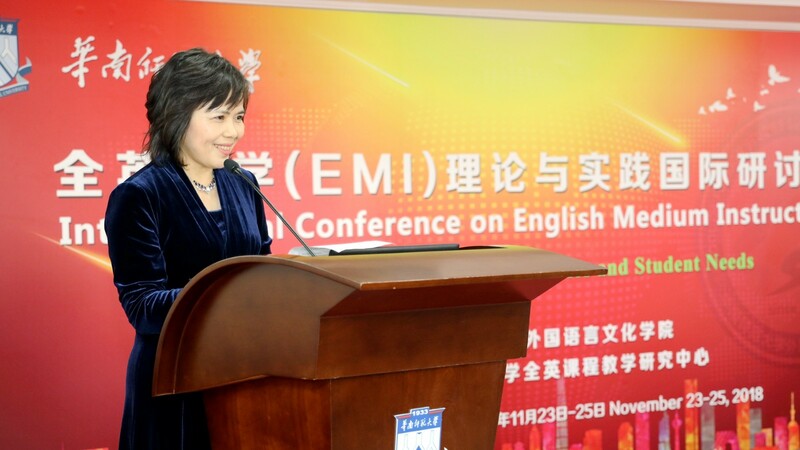 From November 23 to 25, the First International Conference on English Medium Instruction was held by the School of Foreign Studies and the Teaching Research Center for English Medium Instruction (EMI) of South China Normal University. 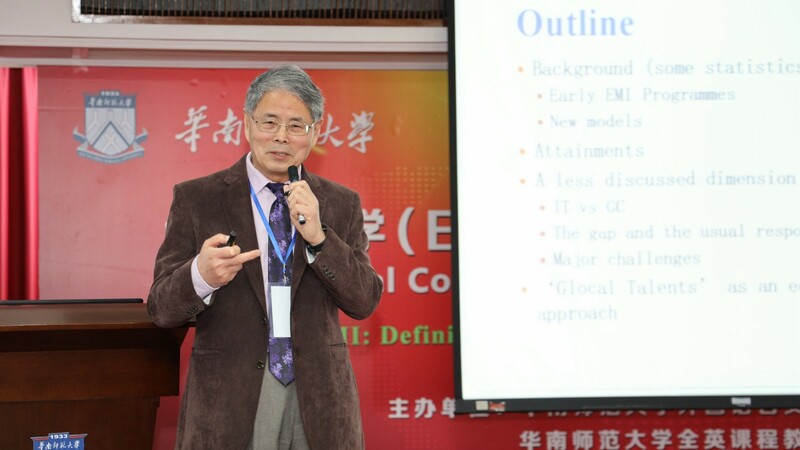 The conference included eight keynote reports, 40 break-out session and a pre-conference workshop. 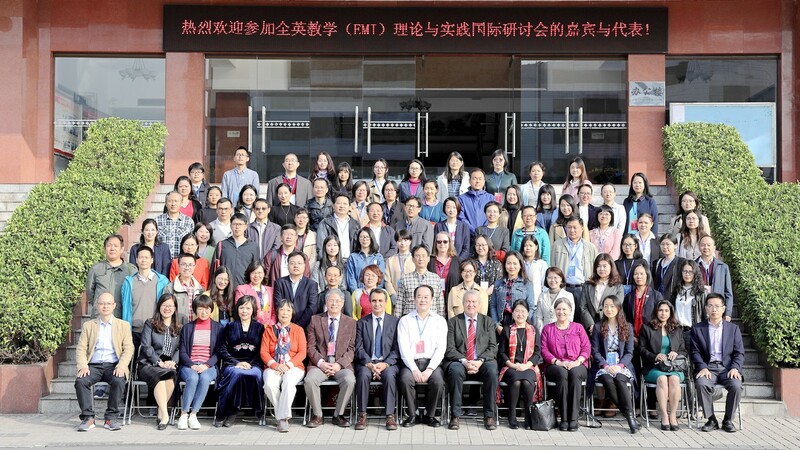 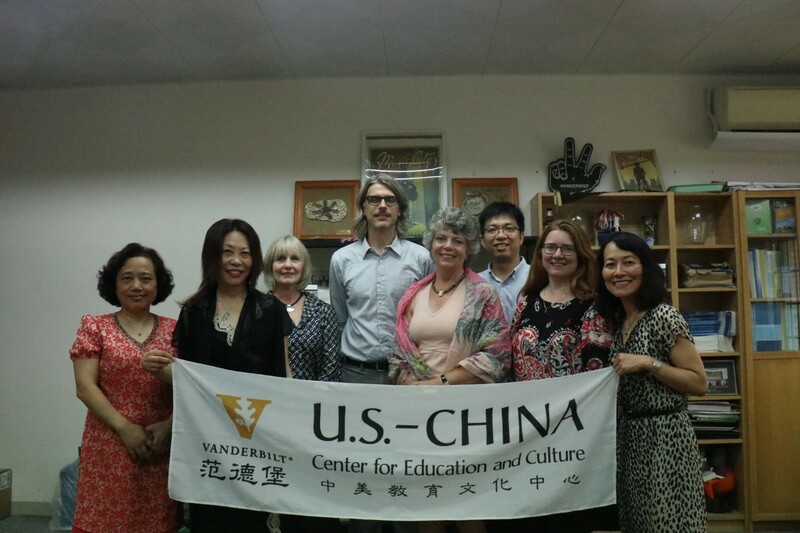 The participants were representives from 26 universities from the United Kingdom, the United States, Italy, Malaysia, Japan, Hong Kong, Macao, Beijing, Shanghai and Guangdong, as well as about 150 experts and teachers from relevant teaching and research institutes of SCNU. 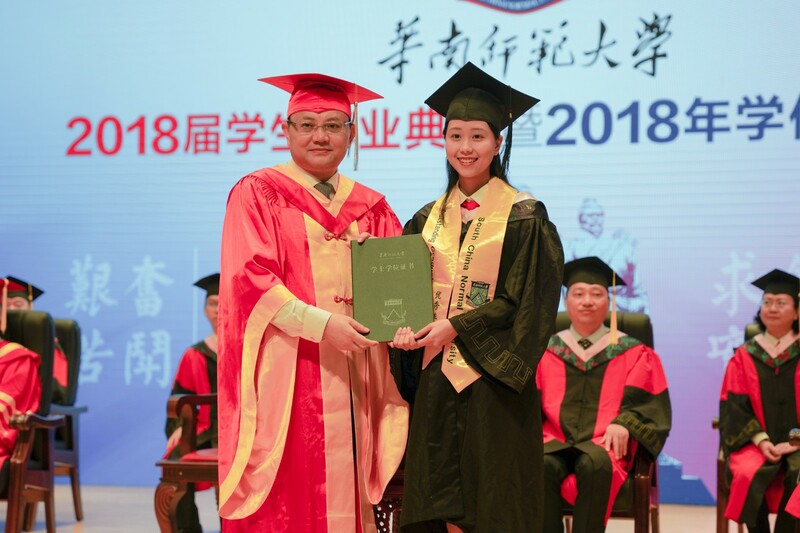 The subjects covered 18 fields, including linguistics, geosciences, biology, agriculture, computer science, management and education. 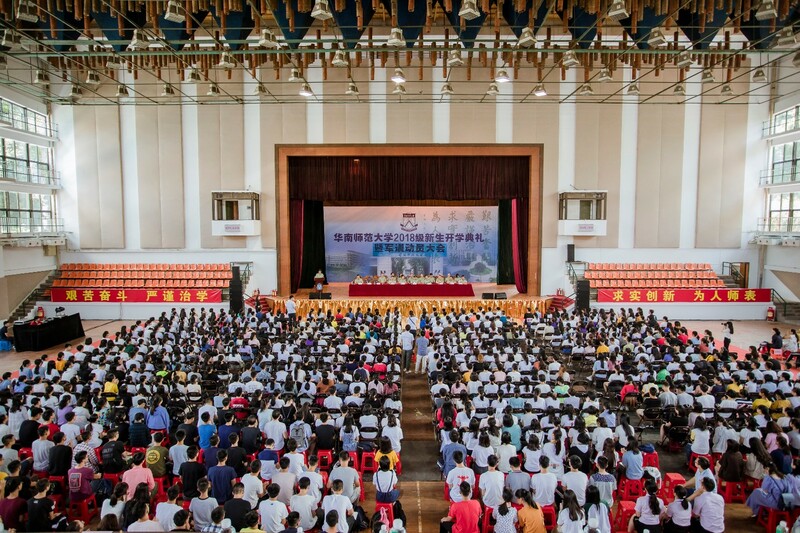 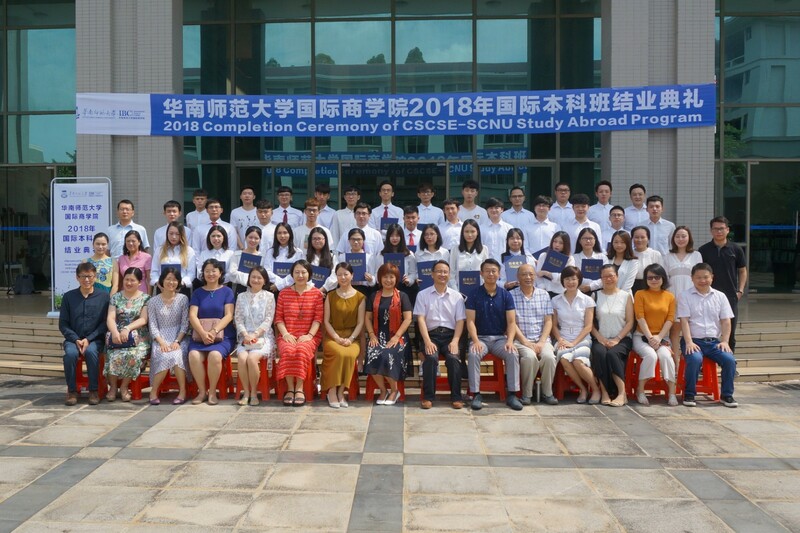 The opening ceremony was presided over by Huang Liyan, vice dean of School of Foreign Studies and director of the Teaching Research Center for English Medium Instruction. 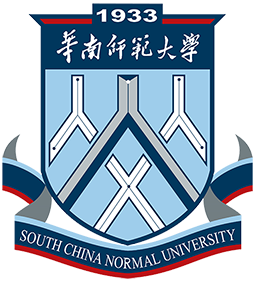 Wu Jian, vice president of SCNU and Gu Hongli, dean of School of Foreign Studies attended the opening ceremony and delivered speeches. 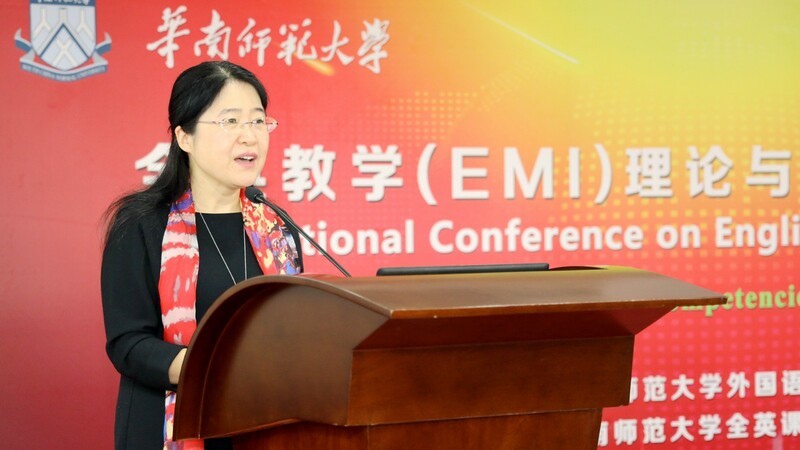 The theme of this conference was "English Medium Instruction (EMI): Defining Teacher Competencies and Student Needs", mainly focusing on the policy and curriculum planning, classroom teaching characteristics, teaching discourse analysis, testing and evaluation, professional development of subject teachers, integration of educational information technology, and other issues. 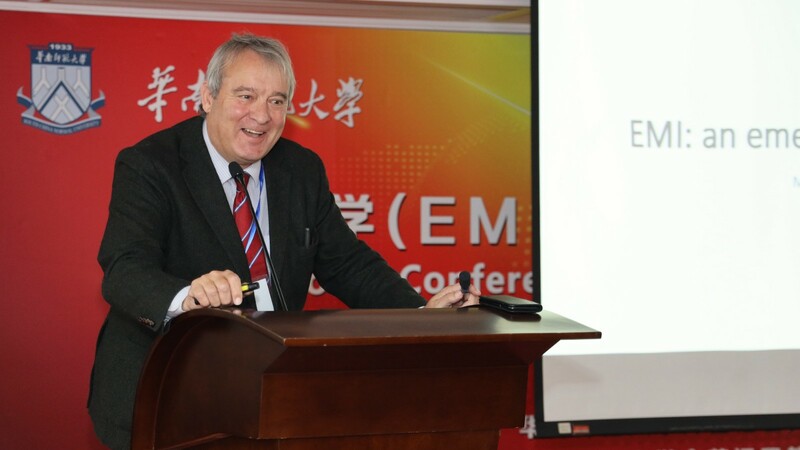 Among the participants of the conference were emeritus Professor Ernesto Macaro of the University of Oxford, Professor Hu Guangwei of Hong Kong Polytechnic University, Professor Feng Anwei of the University of Nottingham Ningbo China, Professor Caroline Clark of the University of Padova in Italy, Professor Li Ying of Hangzhou Normal University, associate professor Zhao Jing of Sun Yat-sen University, Mark Searle, teaching associate, EMI Oxford teacher trainer at the University of Oxford and Professor Gu Hongli, of South China Normal University. 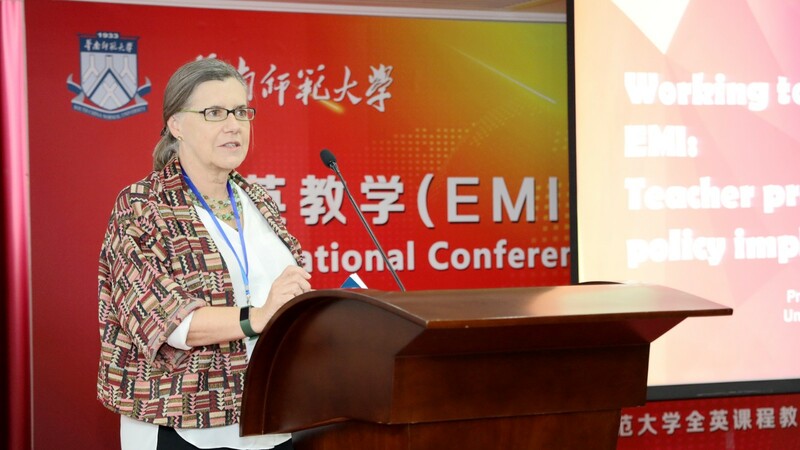 They delivered keynote speeches on the analysis of the international and domestic situation of EMI, the ideal competencies of the EMI teacher, the classroom discourse analysis of EMI courses, the teacher's cultural and gender identities in strategies of EMI, and the teaching methods of EMI. 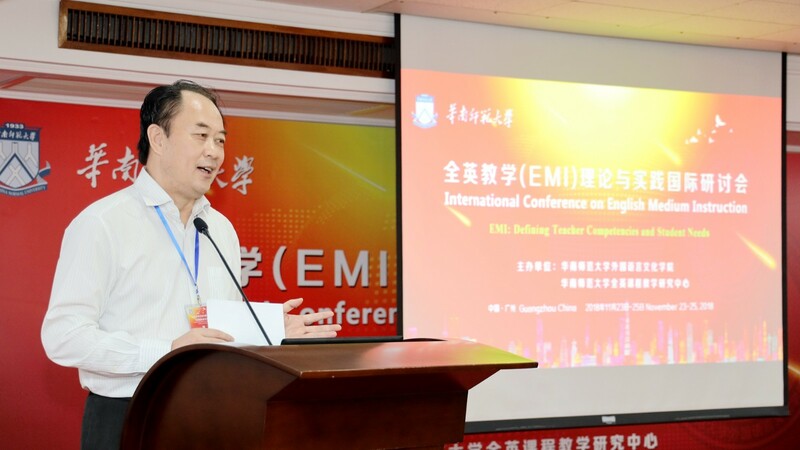 The corpus team of Professor He Anping and associate dean Xu Manfei of School of Foreign Studies organized a pre-conference workshop entitled "Corpus-Aided EMI Teaching and Research". 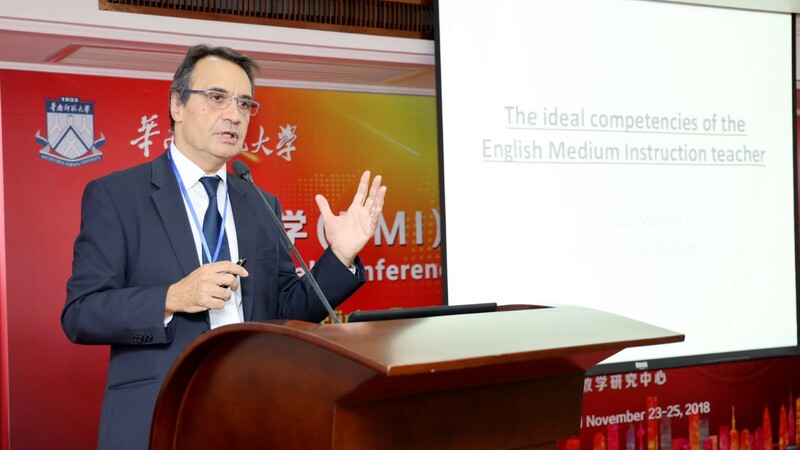 In addition to the series of lectures, the key achievements of the conference included a collection of 15 English and Chinese papers about EMI studies written by the EMI research team of the School of Foreign Studies, as well as the "Global University EMI Research Alliance" jointly established by the EMI research teams of the University of Oxford, the University of Padova, Hong Kong Polytechnic University, the New Era University College of Malaysia and South China Normal University. 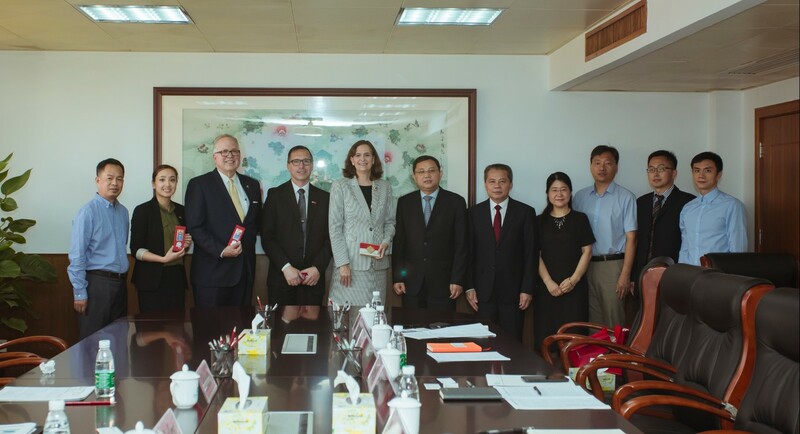 In this alliance the universities will cooperate closely in research, teaching, academic journal publications, the development of the EMI teacher certification, teacher training and international promotion of the courses in EMI .